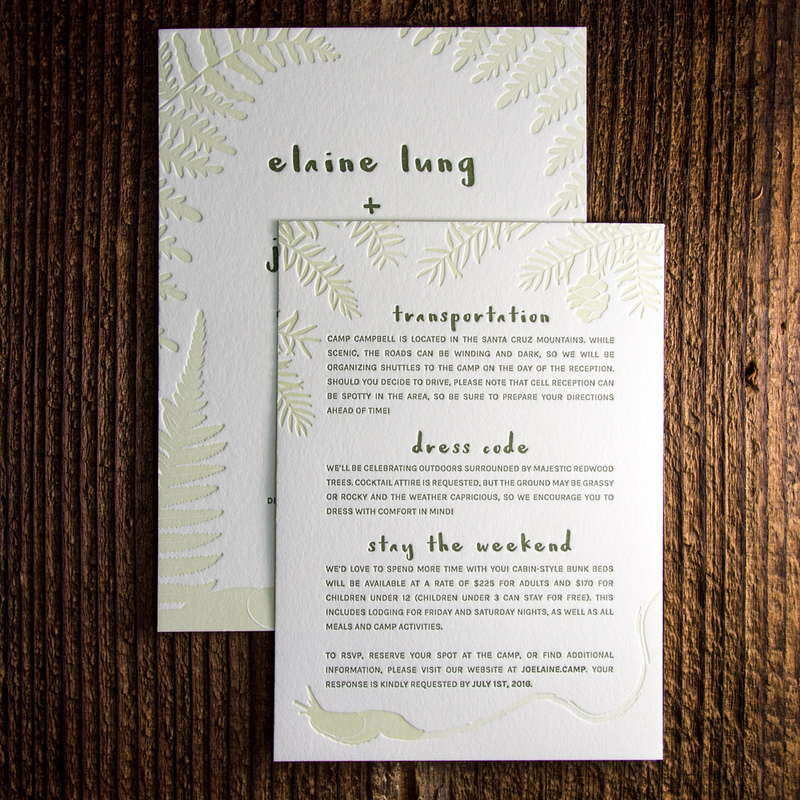 This is one of our favorite client-designed wedding sets of the summer. 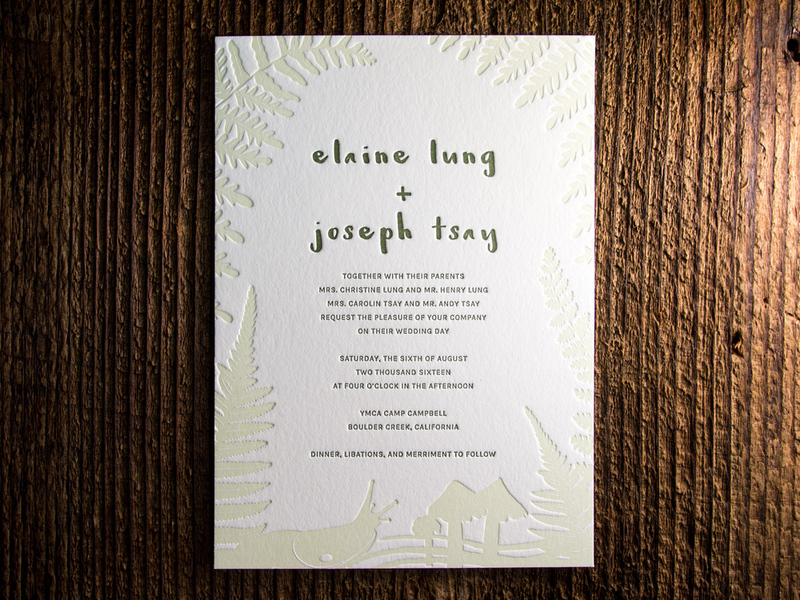 Elaine and Joseph's invites mimic the lush forest that surrounded their venue in the Santa Cruz Mountains, complete with ferns, pinecones, and slugs. 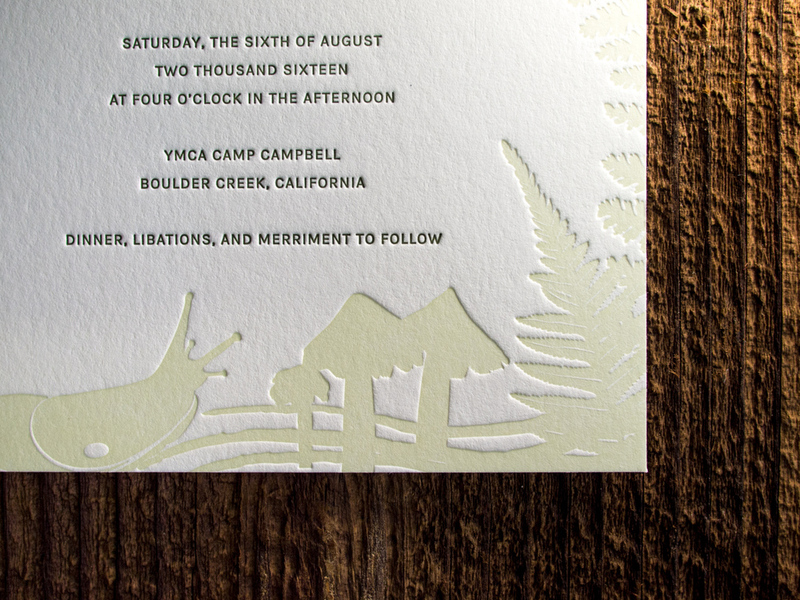 We mixed a custom dilution of our Light Celadon ink to let the deep impression of the artwork really stand out. Posted in wedding invitations and tagged with client designed, green, celadon, pearl white, deep impression, forest, foliage, 600g. August 10, 2016 by Travis Friedrich.